When it comes to album reissues packed with a treasure trove of previously unreleased material, few come as close as Bruce Springsteen to giving fans more than their money’s worth. His newest reissue, The Ties That Bind: The River Collection, remasters and reframes his 1980 double album The River with a stunning collection of old and new material in 4CD/3DVD or 4CD/2Blu-Ray packages with a 148-page coffee table book featuring rare and unreleased photos. As The River celebrates its 35th anniversary this year, the time is definitely right for this massive and meaningful box set. 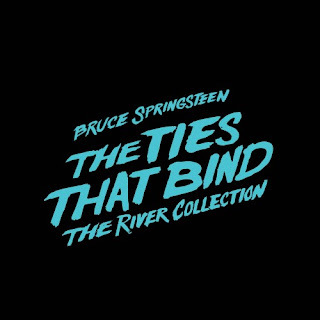 The River: Single Album – Along with a carefully remastered version of The River, the sprawling 20-track double album follow-up to his 1978 Darkness on the Edge of Town album, Springsteen has finally given fans an officially sanctioned release of The River: Single Album. This album is extremely significant to Springsteen fans (and to his overall career catalog), as it was turned in to Columbia Records as a finished album (originally titled The Ties That Bind) and then taken back by The Boss before it could be released. At only 10 tracks, The River: Single Album turns out to be a related-yet-altogether-different album that tells an alternate story with only half the sonic space. While many of the songs appear on both albums, there were a few that didn’t make the cut from the smaller The Ties That Bind to the bigger The River, such as “Cindy,“ “Be True,” and “Loose End.” There are also different versions of “Stolen Car” and “You Can Look (But You Better Not Touch)” on the single album that were re-recorded for The River. Hearing the album as Springsteen originally pictured it (and as he originally turned it in) offers new insight into his mindset and songwriting themes at the time. 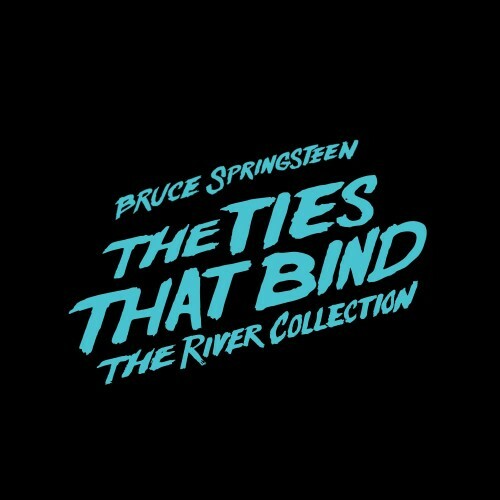 For fans who have only heard these songs together on bootleg releases, or for ones who have never heard some of these songs at all, The River: Single Album is a really nice addition to anyone’s Springsteen collection. The River: Outtakes – Also included in this collection is The River: Outtakes, a disc of 22 songs that were recorded during the 1979-1980 The Ties That Bind/The River recording sessions. While half of the songs on The River: Outtakes had been previously released as b-sides to singles, the mammoth 66-song Tracks box set from 1998, or The Essential Bruce Springsteen from 2003, the other half are previously unreleased tracks that are available here for the very first time. Of the songs that have already appeared on other release, “From Small Things (Big Things One Day Come)” is one of my hands-down favorite Springsteen songs and I absolutely love seeing it get a release amongst the other songs it was recorded with from that era of Springsteen’s career. Of the previously unreleased tracks, “Meet Me in the City” and “Chain Lightning” are two of my favorites, both of which are simply quintessential Springsteen and are headscratchers as to why they didn’t make the album in the first place. 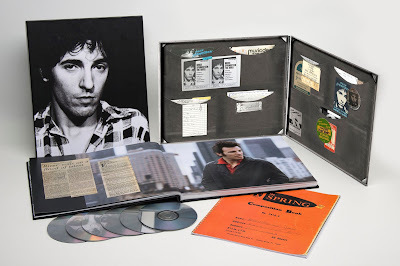 Bruce Springsteen & The E Street Band: The River Tour, Tempe 1980 – Speaking of their incendiary live show, a 24-song, 2 hour and 40 minute concert film is included in the box set as well. Recorded with a 4-camera, multi-track audio setup at Arizona State University on November 5, 1980, this show has been a much-ballyhooed about touchstone in Springsteen circles for its lightning-in-a-bottle energy and atmosphere. Watching Springsteen’s unending showmanship and the E Street Band’s electrifying performances, its easy to see why this show and The River tour hold such a special place in fans’ heart. There’s even an additional 20 minutes of tour rehearsal footage from September of the same year that fans will be really excited to get their hands (and eyes and ears) on.